TeleTech Illuminates Customer Experience "Moments of Wow"
DENVER, Oct. 25, 2016 /PRNewswire/ -- Negative customer service stories often garner the most headlines, but there are plenty of wonderful stories of companies and employees going out of their way to help customers that don't get the same spotlight. These "Moments of Wow" are valuable experiences that show how important human interaction can be to build long-lasting loyalty. TeleTech recently engaged 50 consumers, contact center associates, and business leaders via online surveys and LinkedIn to share their own "moments of wow." What we found were some common threads among these moments: empathy, surprise, delight, and solution. Most of the "wow" moments shared by respondents occurred in retail, travel, or banking, and most commonly because a customer had a problem that needed fixing. These are all very customer-facing industries, so it's natural that they would have the most wow moments. Amazon came up most often by name—not surprising since Amazon is often noted as the torch-bearer for great customer experiences. Many of these experiences are one-time events. A majority of respondents reported that they rarely have experiences that exceed their expectations (67 percent), but when they happen it's most often in traditional service channels. The highest ranking "wow" worthy channels included experiences through voice (62 percent), in person (48 percent) followed by mobile/social and email (tied at 29 percent). What matters most to customers is to have their issue resolved and feel that they are being listened to by the company they are dealing with. On the flip side, customer service associates pointed out stories where they were able to relax the rules and move away from transaction into a real conversation with customers to resolve their issue. According to some associates, these moments of showing their human side gave them a sense of purpose, which influences employee satisfaction, retention, and advocacy. 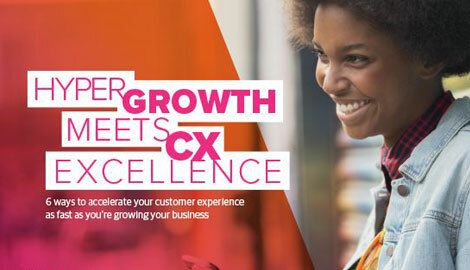 Full results from TeleTech's Customer Experience "Moments of Wow" campaign, including actual customer experiences at well-known brands, and tips on how companies can create their own moments of wow, can be viewed in the latest issue of the Customer Strategist Journal.